Though effective at preventing blood clots, Xarelto is associated with some severe side effects, including potentially deadly, uncontrollable bleeding events. If you or someone you love has suffered a serious Xarelto complication, the experienced drug injury attorneys at the Amaro Law Firm are ready to provide you with unparalleled advocacy, personal service and compassion in the pursuit of justice and financial recovery. At the Amaro Law Firm, our lawyers are committed to advocating the rights of those who have been harmed by dangerous drugs, like Xarelto. We can help you determine if you have a claim and guide you through every step of the recovery process as you move forward. Have You or a Loved One Suffered Serious Xarelto Complications? During your FREE consultation, we will review your potential claim and explain your legal options. We represent clients from across the U.S. in drug injury claims, and we offer free virtual and mobile consultations to anyone who is unable to visit our offices. Xarelto can be ysed to prevent clot-related complications, like (but not limited to) deep vein thrombosis (DVT), pulmonary embolism (PE) and stroke. Xarelto is prescribed to patients with atrial fibrillation and/or a risk of DVT, PE or stroke, including patients who have recently undergone a knee replacement surgery or hip replacement surgery. The sudden, uncontrollable bleeding events associated with Xarelto are among the most serious complications linked to this drug. Xarelto bleeding events are most likely to result in gastrointestinal (GI) and/or cerebral hemorrhaging. THERE IS NO ANTIDOTE to stop Xarelto hemorrhaging, and there is no standard protocol for treating these events. The labeling and medication guide for Xarelto include black box warnings to point out the serious risks of Xarelto bleeding events. Black box warnings, the most serious type of FDA warning, indicate a drug’s potential to cause life-threatening complications. Hepatitis – Characterized by severe liver swelling, hepatitis is most likely to develop in Xarelto patients who are female, who are older than 60 and/or who started a course of Xarelto within the past month. Stevens-Johnson syndrome (SJS) – This painful condition, which damages the skin’s mucous membranes, is fatal in about 1 in every 10 SJS patients. Men between 20 and 40 years old, as well as patients with a history of SJS, have the highest risk of developing this Xarelto side effect. Wound infections – Possibly causing wounds to reopen and develop abscesses, these infections tend to develop around surgery sites, especially in patients who have recently undergone hip or knee replacement surgeries. Establish and provide protocols for treating Xarelto bleeding events. Those who have a new Xarelto claim may join an ongoing MDL or pursue an individual claim. The best option for a given plaintiff and case will depend on the details of the claim, as well as the needs and objectives of the prospective plaintiff. While compensation cannot undo the permanent losses caused by Xarelto complications, these recoveries can be vital to healing and restoring lives. An attorney at the Amaro Law Firm can explain your options and get you on the path to recovery and justice. 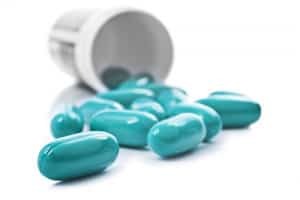 If you or someone you love has been seriously harmed by Xarelto, do not hesitate to contact an experienced dangerous drug lawyer at the Amaro Law Firm. Call (877) 892-2797, text (281) 612-8024 or email our firm for your FREE consultation and essential advice regarding your potential claim. With more than two decades of legal experience, our attorneys have the insight, dedication and skills to effectively represent you in any legal setting and to bring your claim to the best possible resolution. Testimonials from our former clients and our 5-star ratings on Google and Facebook confirm our outstanding record of success in Pradaxa, Xarelto and other drug injury claims.